Dimensions 0.47 by 8 by 10 in. 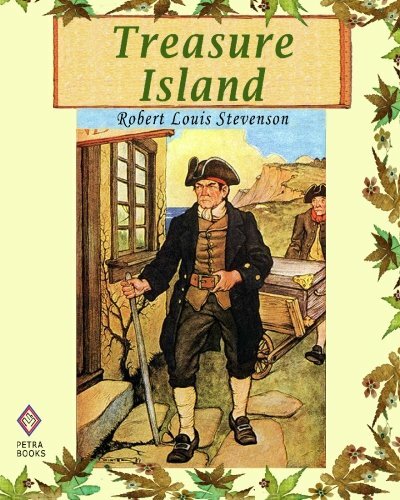 Amazon.com description: Product Description: Treasure Island is an adventure novel written by Robert Louis Stevenson about pirates and hidden gold. It was published many times since it originally appeared in 1883. This novel became one of the most dramatized of all novels. It features the character of Long John Silver - a pirate character that is unusual for children's literature. The novel consists of six parts and 34 chapters. The chapters are narrated by Jim Hawkins except for chapters 16-18 which are narrated by the Doctor. The fictional events of the novel seem to have occurred in the eighteenth century. Reading this novel provides great entertainment and education for the whole family. It is a pleasure to publish this new, high quality and affordable edition.